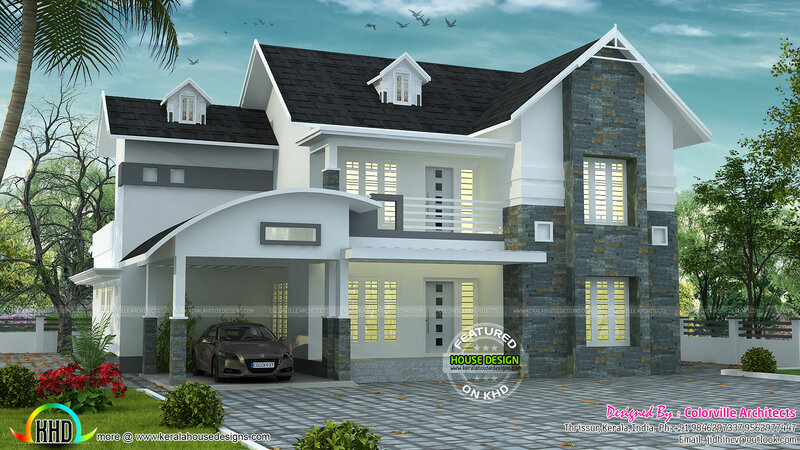 4 bedroom sloping and curved roof mix villa in an area of 2860 square feet (266 square meter) (318 square yards). Design provided by Colorville Architects from Thrissur, Kerala. Ground floor Area : 1790 Sq.Ft. First floor Area : 1070 Sq.Ft. 1 comments on "Curved & sloped roof villa"